Once there was a cartoon experiment. This experiment used the most common 1,000 words in English to describe a Saturn V rocket. Have you wondered about getting started on describing something huge or complex in friendly language? For me, this cartoonist-inspired gizmo Up Goer Text Editor is a way to flex some muscles and warm up by challenging myself to describe using only common words. As you use the device, it strips away jargon and demands extremely lean but frequently comical descriptions. As I explain in the video below, there is no word for a cloud in Up Goer. You can call it a water-holder or a sky-thing. Partly because the cartoonist of xkcd, Randall Munroe, is so popular with college and graduate students, the Up Goer idea charmed some graduate students at the University of Washington. They staged a competition – each contestant had to describe their own research using Up Goer and I interviewed the winner, Yasmeen Hussain. She described her frustration and then her breakthrough in trying to simplify her study of molecular signaling between cells into Up Goer. Her results are on the video. “I study tiny things that are man and woman parts...the woman part talks and the man part listens,” she wrote. Of course that line got a huge laugh from the audience at Town Hall earlier this year. As a professional writer who struggles to explain genomics and cancer and sometimes economics to broad audiences, I value the way Up Goer focuses one to a different level for the explanation. I don’t recommend leaving your writing at the Up Goer level, but the exercise of starting there can be valuable. What Hussain learned as she tried to explain cell signaling known as chemotaxis is that she could drastically reduce the language. She wound up calling cell signaling “talk.” Do the cells talk? No. Do they communicate? Well, yes. As you add back in the jargon, you’ll know you are gradually taking your explanation further and further from the common words. I also believe that sometimes, in forcing yourself to the most primitive descriptions, you may have insights about the message itself. Maybe the most important points are not so tied to the most technical details but something simpler and more universal that can be stated in common words. I’m sure those who write for radio and television probably do some of this already. For me, who spends more time with text, the Up Goer restrictions seemed to free up seeing the message in a different way. For more discovery, you can visit a website just about science-in-Up-Goer or watch a video made using Up-Goer about planetary research. There is a majesty to the description of the solar system with a child’s voice using simple language to explain something so vast. If you do write something you love in Up Goer, please join the community and post it on Twitter with the hashtag #upgoerfive so we can all enjoy it. Sally James blogs about science and communication at www.seattlesciencewriter.com. Yikes. But wait. What if this is all a misunderstanding? For now, let’s give Instagram the benefit of the doubt and ignore the possibility that they’re willingly throwing users under the bus. Nilay Patel at The Verge has an informed and reasonable take on the whole thing. The bottom line: this is, in part, a result of poor communication. But for Instagram, a lot of damage has been done. Perception is reality and CEO Kevin Systrom tried to stop the bleeding with a blog post clarifying the issue. Here’s my question - What could have been done differently? I have some ideas. What if the new policies came with a blog post or website EXPLAINING the changes? Instead of relying on legal language and assuming everyone would get it - what if they were proactive instead of reactive? 1. State the Intent - Question to answer: Why should I read this? 2. Come to agreement about a problem - Question: Why is this happening? 3. Build Context - Question: What’s the big picture? 4. State the Changes - Question: What’s really happening? Below I’ve listed a few sentences from the policies followed by a plain English version that’s easier to understand. 5. Tell a Story - Question: How does this apply to my life? Sally is a lot like you. She’s worried about Instragram selling her photos and using them in advertising. After learning more, she now sees the policies from a different perspective. When she posts a photo of her dog on Instagram, that photo can... But Instagram cannot... Sally is also worried about... The new policies say... Sally now feels better. 6. Make a Connection - Question: Is this like something I already understand? 7. Use a visual or video - Question: Can I learn this another way? Provide a hand-drawn sketch, a quick video or an infographic. Make it sharable. 8. Summary - Call to Action - Question: What’s next? Unfortunately, this didn’t happen. Instagram just put up a bunch of policies with no explanation and had to deal with the consequences. It could have been averted through a simple act of explanation. The lesson here is proactive communication. People need explanations more than you think. If you have an important change you need to communicate, remember that explanation is a kind of media, something you can create that’s different from bullet points and legalese. Provide people with a resource that gives them a way to feel confident that they see the “why?” and can react with grounded, accurate information. 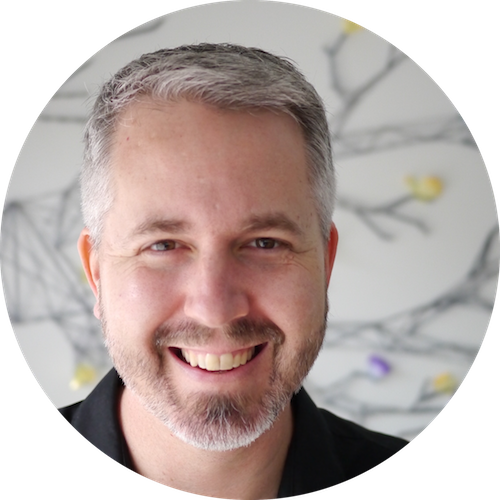 Lee LeFever is the founder of Common Craft and author of The Art of Explanation - Making Your Ideas, Products and Services Easier to Understand. Follow his photos on Instagram and Flickr. For the first time, I've published an article in the Huffington Post. It's based on an idea that was on my mind through the most recent election season, when facts became such a big news story. The thesis of the article is that facts, especially in the media, need help. We can't rely on their very existence to create change. To be powerful, they need help in the form of context and remarkable or interesting packaging. These layers are how I frame the problem, which I see as a lack of focus on the bottom layer, fundamentals. For all the visuals and a complete picture of the big idea, head over and take a look at the article. I don't often look to bathrooms, much less camping toilets for great communication, but this is an exception. 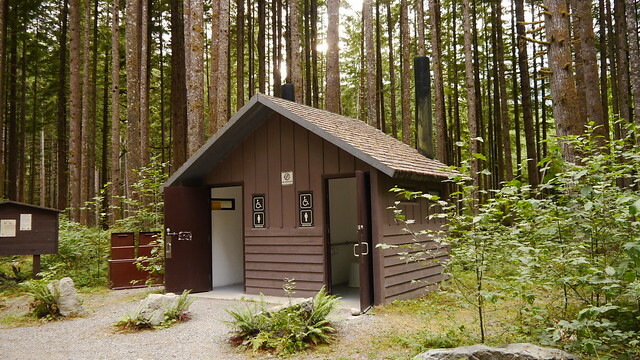 In many state-maintained campgrounds in Washington State (and elsewhere), there are "vaulted toilets" with no running water. Like an outhouse, everything ends up in underground pit that must be maintained. This presents a problem. Campers sometimes use the toilet as a trash can, which makes for a difficult situation for the people who need to remove the waste. 1. What do you want me to do? 2. Why does that make sense? In our everyday lives, a lot of communications focus on question #1 - "what do you want me to do?" Separate your recycling. Eat this food. Don't touch that. These can be effective, but the real effectiveness comes when the answer to question #2 becomes clear to the audience. By answering "why does this make sense?" the sign becomes an explanation - it becomes more understandable and reasonable. I believe by answering question #2, the sign makes people motivated to do the right thing. It has context and foundation. 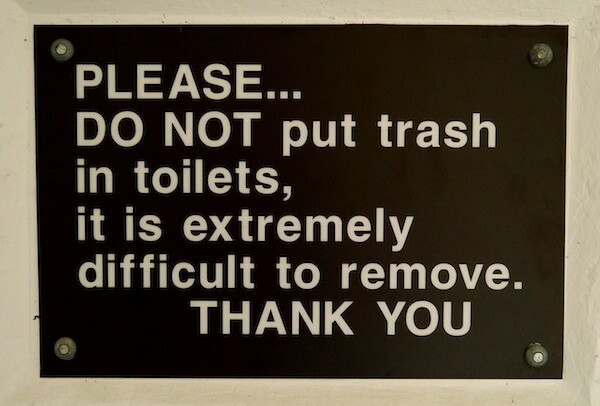 There is a valid reason you should not put trash in the toilet - it makes pain for others. Most people, given a choice, don't want to create pain for others and it's a motivating factor. It's easy enough to go through our professional lives trying to motivate others by answering question #1. "I need you to do this." 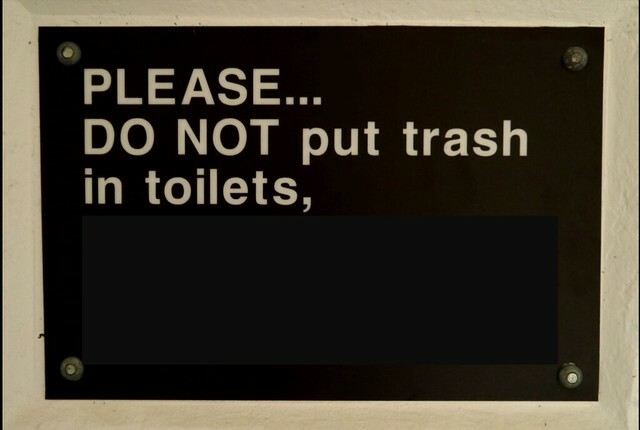 But I hope that you'll remember the toilet sign above. By remembering to answer question #2, by explaining why it makes sense, you can give people a way to see that it's understandable, reasonable and something they may want to do. What is an Explanation Specialist? Think for just a minute about the specialists who make a difference in your company or organization. Let's say you're a product manager. An IT specialist may keep your computers and networks up-to-date and working smoothly. A marketing specialist may help you see opportunities to reach new customers or help to identify features customer want. A programming specialist may help you discover ways software can make the product more powerful. Together, these specialists and others become a team that helps you and your organization be successful. But that success also depends on another factor that impacts every part of the process: communication. The best IT, marketing and programming specialists must communicate effectively to have an impact - and that’s why we need a new kind of specialist. I think it’s time to recognize that explanation is a fundamental skill for professionals, something that everyone can learn and improve. Imagine a team of IT pros who learn to explain computer problems and solutions in a more understandable way. Imagine a finance pro who can make complex financial forecasts easy to grasp for junior employees. To make this happen, we need a new kind of specialist, someone who can work across teams and specialties with one focus: helping people rethink how they explain ideas. By focusing on explanation as a skill, this person can illustrate how explanations can make people care about ideas and motivate them to take the next step. I’m talking about the role of Explanation Specialist - and I think it could be your future job. This is a specialty that has the potential to impact every part of the organization. From finance to HR to the executive suite, everyone can benefit from being more understandable. It starts with an interest in communication and a realization that better explanations are possible. From there it’s a matter of understanding the basics of explanation - why they work, why they fail, and how to solve explanation problems. These skills can be applied across teams, products and situations. An Explanation Specialist may act as a kind of reviewer or consultant; someone who can make recommendations about how to approach a complex idea in terms of explanation. This person may be a part of the Marketing team. Like a designer shapes color, typeface and visuals, the explainer works to shape communications into a more understandable form. An explanation specialist may work with executives on speeches and presentations. The potential is endless. Of course, these things may be happening today. You may already be an explanation specialist or know one. Some people have become excellent explainers through experience and practice. It’s a skill we all use everyday, and most importantly, one that we can improve. We can learn to be better at explanation and if we do, the impact could be tremendous. We need specialists who are ready to help the world become a more understandable place to live and work. Perhaps that will be you.